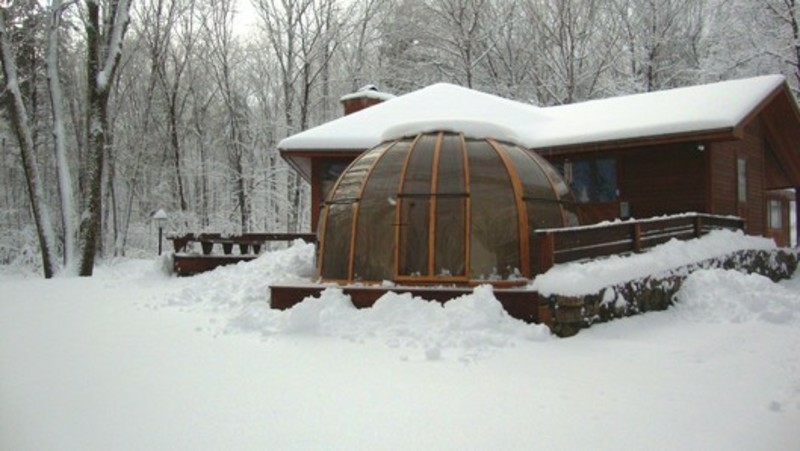 hot tub enclosures – what are the pros and cons of each and which one should you purchase? For homeowners who want to enjoy their backyards in a shaded area and can commit to the maintenance demands that come a long with them, gazebos can be beneficial. As far as the maintenance that’s required: Debris such as leaves and twigs need to be removed from gazebos’ roofs. Inset nests, mold, and mildew should also be removed. Every few years, gazebo owners may need to power wash, scrape peeling paint off and repaint or stain these structures. With cedar gazebos in particular, in order to preserve their natural color, a sealer will need to be applied directly following assembly and again every two to four years. Constant exposure to the sun can deteriorate canopies, which at some point may need to be replaced.